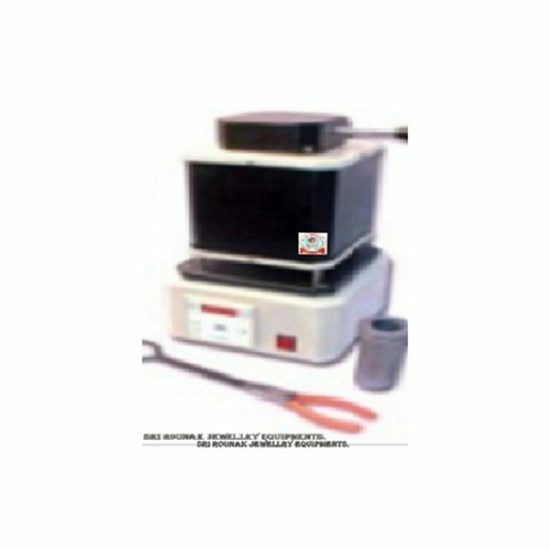 The Digital Melting Furnace was designed to be a safe and easy to use electrical method for melting gold, silver and other non-ferrous metals for casting and ingot pouring applications. This model has a 1000 gram (30 troy ounce or 1 Kilo) capacity for gold. It offers precise control of melting temperatures up to 2028oF (1120oC) through its user-friendly, easily programmable controller with LED display. The insulated lid holds in heat and keeps oxygen out for a cleaner melt. It includes one pair of tongs and detailed instructions for use, and operates on 110 volt 50/60Hz. Made in India.